When a biker is knocked to the ground, or slides across the ground, the friction created between the moving body and the unmoving ground causes the skin to scrape off. These abrasions are commonly called road rash. While the name “road rash” doesn’t sound like a serious injury, it can cause excruciating pain due to the exposed nerve endings in the skin, and can cause permanent scarring. The North Carolina road rash lawyers at Auger and Auger have been representing bikers with road rash injuries from bike wrecks for over 22 years. Texture of Roadway: Rough roads, and roads that are covered with sand, broken glass, or pebbles are very abrasive. Distance the Body is Propelled: A body skidding on the road will generate more abrasions than a body that crashes and tumbles. Speed of Impact with Ground: The more forceful the impact, the deeper the abrasions will be. Just imagine. It is a beautiful, warm sunny day. The wind in your face, hair blowing in the breeze, and summer clothes: the perfect day for a ride. But you’ve got way too much skin exposed. Hands, knees, shoulders, outer thighs, and elbows often sustain road rash injuries due to these being exposed areas. The best way to prevent road rash is by wearing protective clothing, such as a helmet, long pants, jacket, boots, and gloves. You should also work on perfecting your bike-handling skills to minimize your risk of falling, and be a defensive rider. Mild cases of road rash typically involve washing the affected area with soap and water, followed by the application of an antibiotic ointment and bandage. Deeper and more serious abrasions may require removal of dirt and debris in addition to being thoroughly cleaned. Deep lacerations may require stitches. When the skin is completely removed, and supporting tissue or underlying fat is exposed, a skin graft might be necessary. It is important to hire a North Carolina motorcycle injury attorney soon after the crash to make sure that you are aware of all of your treatment options. 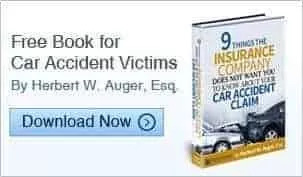 Since 1994, the injury attorneys at Auger & Auger have been helping the victims of motorcycle accidents in North Carolina. We have over 40 years combined legal experience in negotiating with insurance companies and obtaining the maximum compensation for motorcycle accident victims. When you contact Auger & Auger, your consultation is not only confidential, but it is free, no matter how long the consultation lasts.